The shortlist for the Savills Arts Prize – the biggest award in Irish contemporary art – has been announced by Vue 2016, Ireland’s national contemporary art fair. 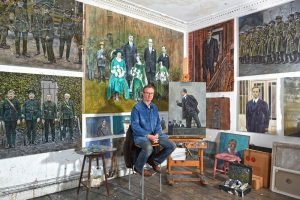 The five artists on the shortlist are Ennis artist Mick O’Dea, visual artist Jaki Irvine, Mullingar artist Patrick Graham, Lisburn artist David Crone and Dublin-based Gavin O’Curry. 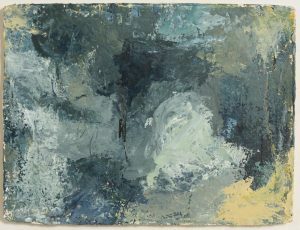 The €5,000 Savills Art Prize will be awarded to the artist who has produced an outstanding body of work in the last year or made some other substantial contribution to the visual arts in Ireland. Vue runs at the Royal Hibernian Academy gallery from November 3, when the prize will be presented, to November 6. Galleries exhibiting work at Vue 2016 include Kerlin gallery, Catherine Hammond Gallery (Cork), Cross Gallery, Molesworth Gallery, Stoney Road Press, Hillsboro Fine Art, Green on Red, Eight, Peppercanister, Graphic Studio, Fenderesky, Kevin Kavanagh, Gallery of Photography, Solomon, Olivier Cornet, Taylor Gallery, Gormleys, Jonathan Ellis King, Gibbons and Nicholas, Oonagh Young Gallery and Art Box. Patrick Graham has been nominated for his body of work ‘Lullaby’ at Hillsboro fine art gallery, Dublin. A collection of rare 18th and 19th century Irish and English glass will be a feature of Marshs auction in Cork on November 5. There will be Cork, Waterford, Belfast and early English glass from the estate of Mr. Knollys Stokes of Cork. 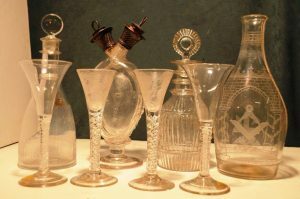 Among approximately 90 lots of glass are decanters, bowls and dishes of every sort. 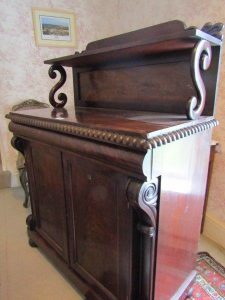 Other rarities in this sale include a Victorian walnut marble topped dental cabinet (3,000-4,000), a Georgian Cork serving table with hairy paw feet (3,000-5,000), a Cork inlaid sunk centre sideboard (1,000-1,500), a Georgian tallboy (400-500) and a Regency sofa table (700-1,000). There are Georgian card tables, two long case clocks, a Georgian corner cabinet and an electrified pianola with 35 music rolls. 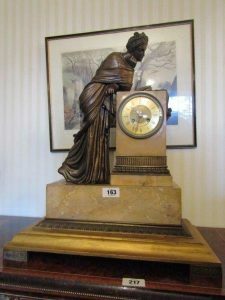 The auction will include porcelain, silver, brass, books and paintings among around 400 lots. Viewing is from 10.30 am to 9 pm next Thursday and Friday and from 10 am to the start of the auction on this day week. 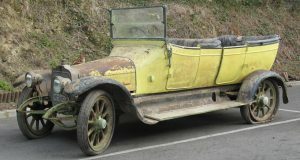 PREVIOUSLY OWNED 102 YEAR OLD CAR ANYONE? A 102 year Talbot Invincible that – if restored – would not be out of place on the set of Downton Abbey comes up at Fonsie Mealy’s Chatsworth fine art sale in Castlecomer on November 15 and 16. In need of much tender loving care the vintage 4CB is one of only 350 known models of its type made. Only a handful of survivors are known in the Northern Hemisphere. Found in a barn the registration number is C.R. 1351. This was issued by the County Borough of Southampton to Brigadier General D. Brady. He registered it in Ireland on January 1, 1927. The original Irish tax book as well as the “Instruction Handbook” are included in the lot. It is estimated at 17,000-22,000. The biggest prize in Irish contemporary art will be presented at Vue 2016 at the Royal Hibernian Association gallery on November 3. The €5,000 Vue Contemporary Art Prize presented by Savills will be awarded to the artist who has produced an outstanding body of work in the last year or made some other substantial contribution to the visual arts in Ireland. Nineteen of Ireland’s leading contemporary art galleries have nominated an artist and the adjudicator is RHA director Dr Patrick Murphy. The long list of nominations includes Maser, Jaki Irvine, Patrick Graham, Francis O’Toole, Michael Coleman, Catherine Barron, Blaise Drummond and Donald Teskey, John Cronin, Ciaran Lennon, David Crone, Mick O’Dea, Yvette Monahan, John Behan, Eoin MacLochlainn, Stephen Johnston, Timothy Furey, Marty Kelly, Gavin O’Curry and Bridget O’Gorman. Last year’s prize was awarded to Richard Gorman. 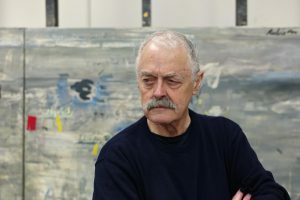 “This is only the second year the Savills Art Prize has been presented at Vue and we hope the award will become as important to Irish art as the Turner Prize is in the UK,” said Vue 2016 organiser Louis O’Sullivan. Galleries participating include Kerlin Gallery, Cross Gallery, Molesworth Gallery, Stoney Road Press, Hillsboro Fine Art, Green on Red, Eight, Peppercanister, Graphic Studio, Fenderesky, Kevin Kavanagh, Gallery of Photography, Solomon, Olivier Cornet, Gormleys, Jonathan Ellis King, Gibbons and Nicholas, Oonagh Young Gallery and Art Box. Jorge Welsh Fine Art of Kensington Church Street, London – exhibiting in New York for the first time in ten years – have put together a group of Chinese export porcelain pieces, resulting from the cultural encounter between West and East in the 15th, 16th, 17th and 18th centuries. Their stand is illustrated here. A series of auctions bringing together key pieces from the Song, Ming and Qing dynasties will take place at Sotheby’s in London on November 9. The single lot sale of ‘The Supreme Number One’, the first Chinese firearm with an imperial reign mark ever to appear at auction, will be preceded by a distinguished private collection of jades. A selection of imperial ceramics and gilt-bronze figures – including a rare tea bowl from the Song dynasty – are highlights of the range of material to be offered in the Important Chinese Art sale. Comprising some 340 lots with a total estimate in the region of £6.7 million, the series of three sales will take place during Asian Art in London, an annual ten-day celebration of the finest Asian art. 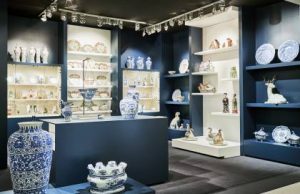 During this time, Sotheby’s New Bond Street galleries will also host an exhibition presented by the Oriental Ceramic Society featuring some 200 examples of ceramics, mostly from China and Japan, and all drawn from members’ collections. These days you can view many auctions from the comfort of your own home and buyers are increasingly doing just that. Locally, nationally and internationally auction houses are finding new buyers on the internet. The online portal Invaluable is teaming up with the prestigious European Fine Art Fair TEFAF to connect with a collector base in 180 countries. TEFAF opens its debut fair outside Europe at the Park Avenue Armoury in New York today. Closer to home there are two online sales of Irish art running this weekend, at Whyte’s and Morgan O’Driscoll. 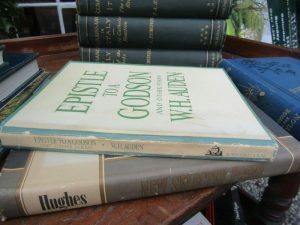 Whyte’s are offering nearly 200 lots with estimates from 100 to 6,000 in an auction with examples from the McClelland Collection and work by Yeats, Lavery, William Conor, Nano Reid, Mainie Mellett, Harry Kernoff, Tony O’Malley and Basil Blackshaw. There are 230 lots in Morgan O’Driscoll’s sale, which includes 13 works of sculpture. 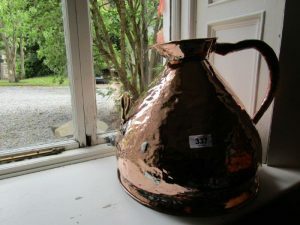 The sale runs until 6.30 pm next Monday and is on view in Skibberen from noon to 5 pm today and tomorrow and from 11 am to 3 pm on Monday. 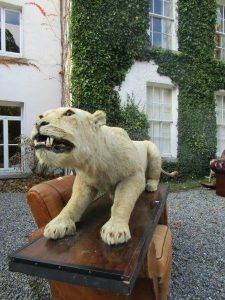 Whyte’s sale is on view at Molesworth St., Dublin from 1 pm to 5 pm today and from 10 am to 5 pm on Monday. Their auction starts at 6 pm. River Bank I by Donald Teskey at Morgan O’Driscoll (4,000-6,000) UPDATE: THIS MADE 3,800. 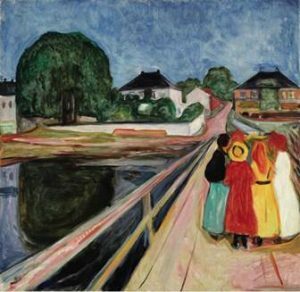 Edvard Munch – Girls on the Bridge. UPDATE: IT SOLD FOR $54.5 MILLION. A masterwork by Edvard Munch will lead Sotheby’s evening sale of Impressionist & Modern Art in New York on November 14. Pikene på broen (Girls on the Bridge) from 1902 is estimated to make more than $50 million. 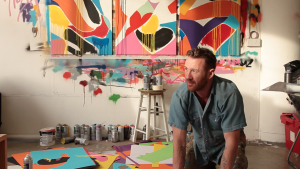 The lyrical work ranks as one of the most powerful paintings of his career, and has twice set a new world auction record for the artist at Sotheby’s. 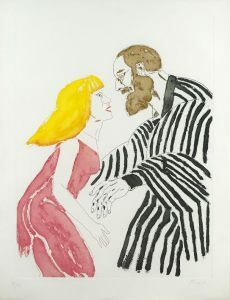 In 1996 Sotheby’s sold the painting for a then record of $7.7 million. 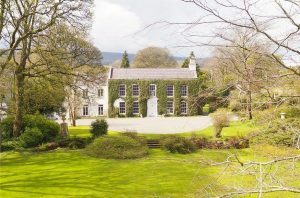 It was sold in 2008 for $30.8 million. 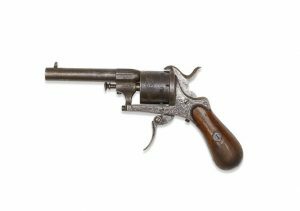 The gun bought by Paul Verlaine bought with the intention of killing Arthur Rimbaud comes up at Christie’s Exceptional Sale in Paris on November 30. The poets had known each other since 1871 and were inseparable. Verlaine was married but decided to flee to London with Rimbaud in 1873. In May and June of that year in London they quarrelled violently. On July 3 Verlaine left London to seek refuge in Brussels. Rimbaud soon joined him, but then decided to return to Paris. Verlaine then shot him twice with a gun he bought from a gunsmith in Brussels on July 10, 1873. He managed only to to shoot the wrist. Rimbaud then spent ten days in the hospital, and Verlaine was sent to jail for two years. The story of the Brussels affair in well documented statements and depositions taken at the time is now kept at the Royal Library in Belgium. The gun is estimated at 50,000-70,000. UPDATE: It was sold to an anonymous bidder on the telephone for 434,500. The Exceptional Sale realised 4,031,150.